Vein weakness is not just an issue for women. In Germany, about 1 in 4 men has varicose veins and associated oedema (“water in the legs”), inflammation, or skin changes. Even so, varicose veins are still thought of as a disease that affects women. The most important study on the frequency and severity of chronic vein disease is the Bonn Vein Study, which was conducted by the German Society of Phlebology. This study investigated how many adults in Germany suffer from varicose veins and their complications. Surprisingly, it showed that men had the disease nearly as often as women. Spider veins and reticular veins are usually thought of as being women’s problems. 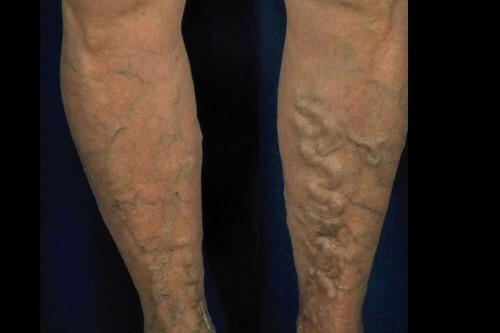 However, according to the Bonn Vein Study, 60% of adult women and 58% of men have these small varicose veins. This means there is hardly any gender difference. 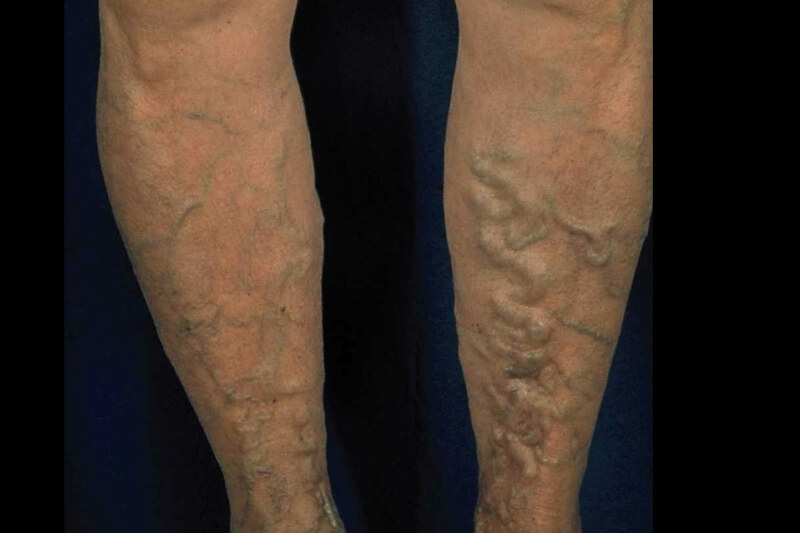 The fact that women talk more often about spider veins can probably be attributed to aesthetic considerations, as varicose veins shimmering through the skin tend to bother women more than they do men. However, experts are now finding that an increasingly number of physically aware men is consulting a doctor about unsightly spider veins. It goes without saying that spider veins can also be effectively treated in men. In Germany, almost as many men as women are affected by large medically relevant varicose veins: 34% of adult women are affected (16% have large varicose veins without any complications and 18% have varicose veins with oedema and/or severe complications). Even though, with 28% slightly fewer men are affected, 15% of men already have complications. This means that more than 1 in 4 men has varicose disease and should urgently seek medical advice. Thus one can truly say that varicose veins are also an important topic for men. Even though women suffer considerably more often than men from typical symptoms in the legs, such as a feeling of heaviness, tension, or swelling, the picture is completely different when it comes to complications. More men are affected by inflammation of the skin (eczema) and itching due to varicose veins than women: 15% of men compared with 12% of women. And twice the number of men suffer from venous leg ulcers, the most severe of all complications. This may be mainly due to the fact that men do not take varicose veins as seriously as women and wait much longer before seeing a doctor. Men often do not seek medical advice until forced to do so by their wife or partner. Men, too, should be made aware that prompt treatment of varicose veins relieves the associated symptoms and above all can prevent serious complications. The first step is to visit your general practitioner or a vein specialist. Is it really the case that many men continue to trivialise vein disease despite the known complications, instead of following the example of female health awareness? A large-scale study, carried out on almost 3200 patients by Dr. Seiter in Stuttgart (at the Seiter Clinic), confirmed our suspicions that men underestimate the dangers of varicose veins. Women are actually treated for varicose veins more than twice as often as men, who also wait much longer than women before seeking medical advice, i.e. until the disease is significantly more advanced. Men often find it difficult or embarrassing to talk about their own physical weaknesses. In general, they tend to use health and preventative medical services far less often than women do. They often give a lack of time or other obstacles as the reasons for not seeing a doctor or play down the problem until they are no longer able to deny it. Actually, half of the male patients stated that they found the changes unimportant, were not bothered by them, or had not even noticed them at all. The study also confirmed that men underestimate the dangers of varicose veins. Only 9% considered varicose veins to be a serious disease, while more than 53% of women rated them as a health risk. The fact is that men with varicose veins rarely seek medical advice of their own accord. More than half of those questioned had been sent by their partners, who had probably had to do a lot of persuading beforehand to convince them to go. Women, on the other hand, take the disease seriously in more than 90% of cases and seek treatment. Less than 1 man in 5 is bothered by the unsightly appearance of the varicose veins, although nearly all female patients see them as an aesthetic blemish. Early treatment of varicose veins relives the symptoms and prevents dangerous complications. Obviously, there are also aesthetic reasons for dealing with the unsightly veins and there is no question that physical awareness is also increasing in men. 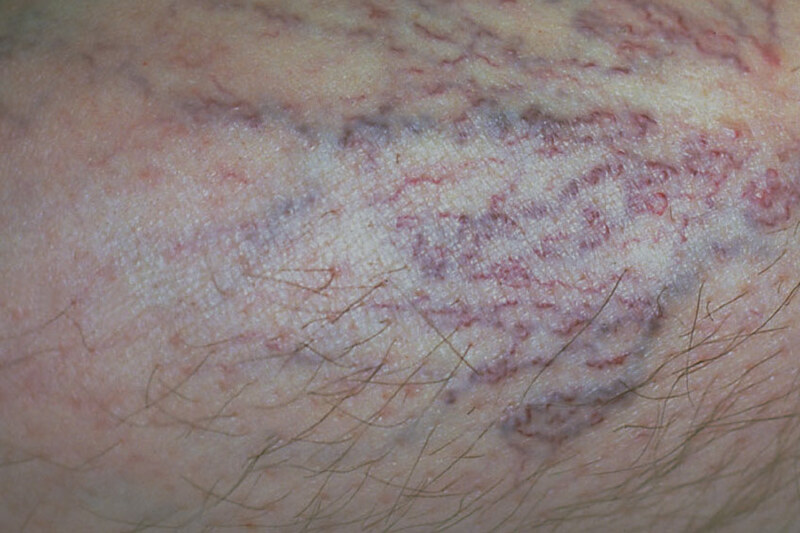 Many women find varicose veins unattractive in men. For the sake of a good quality of life and general attractiveness, it is therefore worthwhile having your legs examined by a doctor, especially by a specialist in vein disease.